Skullies, pins, suede, and a good (great) fleece? We're all about it! 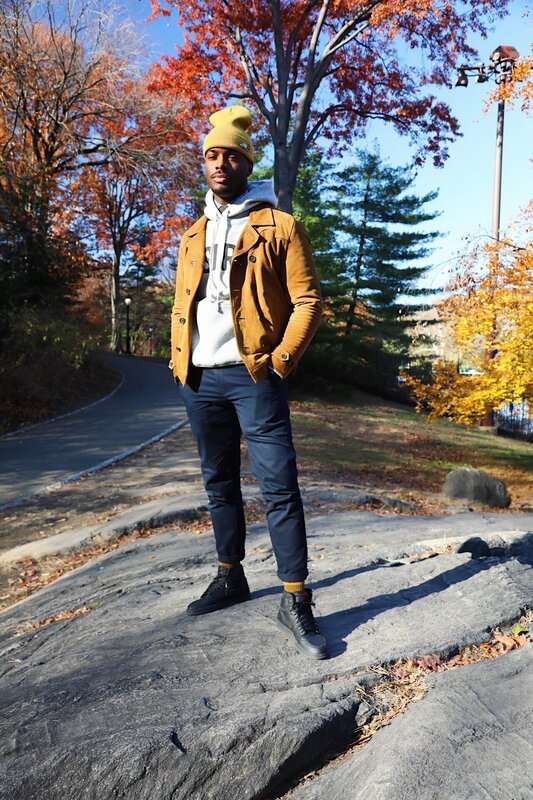 @derrtynyc does the "SIR" hoodie much justice, with a little help from autumn leaves.